It doesn't seem so long since Naomi got her first teeth and we were out to get her a toothbrush. Well, times have moved on far too fast and we now have a five year old that is very excited to have her first wobbly tooth! 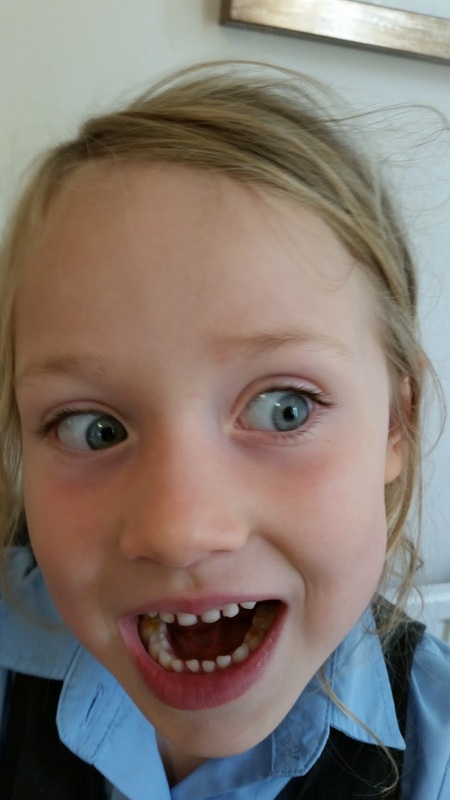 Her friends (mostly age six of course) have already started on their adult tooth journeys so she is more than happy to be joining the fun. It's the one at the front, left of the middle two (her right). You can see that it's leaning into her mouth slightly.